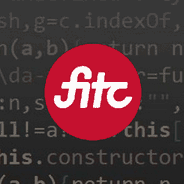 On Tuesday, April 14, I had the privilege of speaking at FITC Toronto 2015, a technology and creativity conference that features events all around the globe, many of them in Canada. It was my second talk ever, and it seemed to go over pretty well. This was a 4-track conference, so it was nice to see a packed room with standing-room only (or so they told me — as you can see from the video below, those lights blind the speaker to what’s going on in the room!). My talk was focused on the tools explosion that we’ve seen in the front-end development industry in the past 5 years or so. If you’ve been following my tools newsletter for some time, then you would have seen some, if not most, of the stuff in the talk. But I did go in depth on a few of the tools that I featured, so there should be something new in here for most front-end developers. Due to the nature of the event (being a fairly general, non-niche conference), I had a feeling there would likely be many in the audience who found the material a little over their heads. I tried to keep it as simple as possible but, to be honest, many of the tools I talked about are over my head, too! Below you’ll find the FITC video, my slide deck, along with the full list of links to the stuff referenced in the talk. Note: Choose one of the “HD” settings for the video, if it’s not already selected. This will help you to see the code examples a little more clearly.